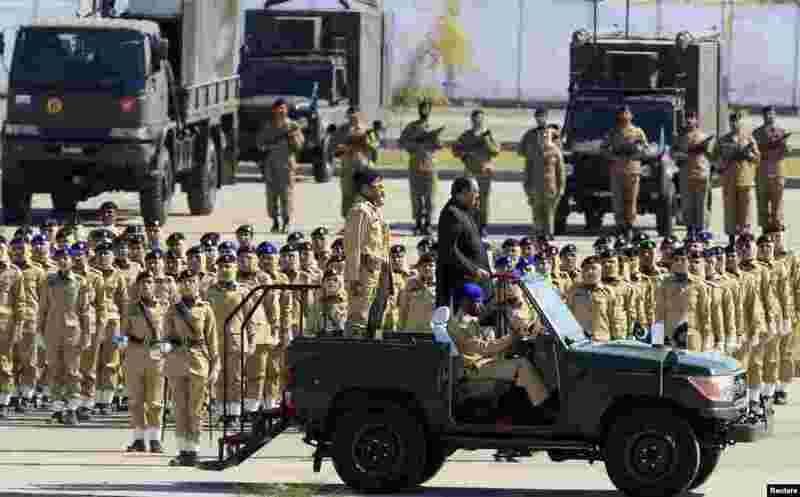 1 Pakistan's President Mamnoon Hussain inspects troops during Pakistan Day parade in Islamabad, March 23, 2015. 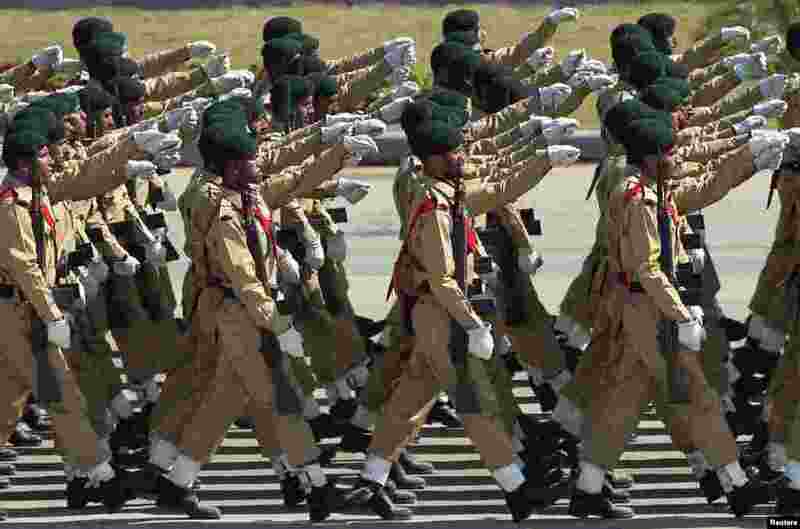 2 Pakistani soldiers march during the Pakistan Day parade in Islamabad, March 23, 2015. 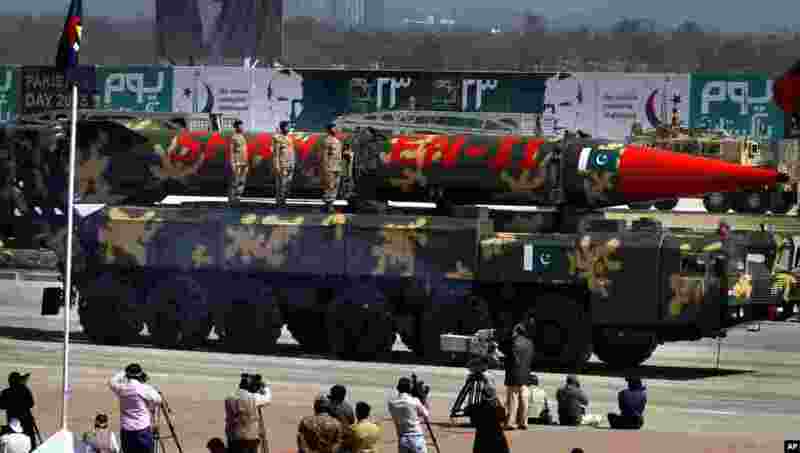 3 A Pakistani Shaheen II missile is displayed during the Pakistan National Day parade in Islamabad, March 23, 2015. 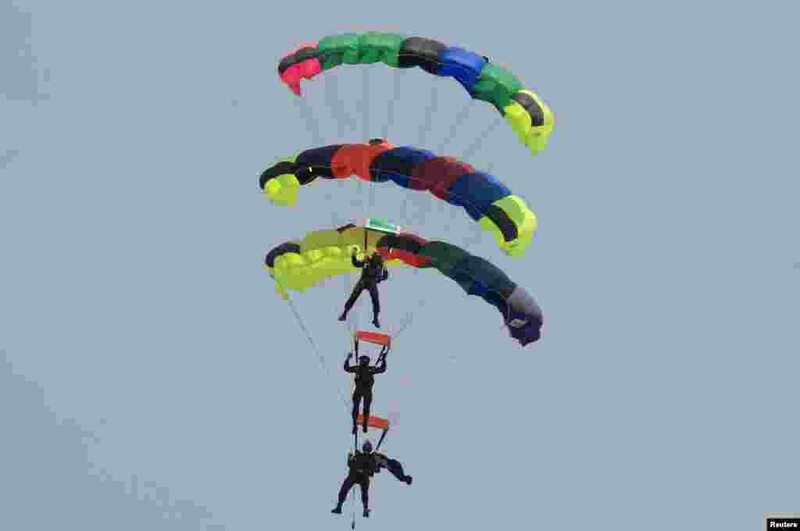 4 Pakistani paratroopers perform during the Pakistan Day parade in Islamabad, March 23, 2015.